@Dico200 has stepped down after many years of actively managing the server, not to forget starting Redstoner as we know it today! Weather was also fixed, it can rain now! @Pepich1851 has been working tirelessly the past weeks to fix all the things and add the remaining modules back in place, I'm happy to announce that with the help of @Dico200, block-place-mods is finally back! Use the command /mod to learn more in-game. The Essentials plugin was updated to EssentialsX which is a fork of the original plugin. The crashes mentioned in the last recap have been fixed, turns out it was a spigot issue and updating it fixed™ everything! Minenash: "Redstoner has touched so many lives and started a vibrant community. None of it would've happened if it weren't for you. I'll definitely miss you. I hope to talk to you every once in a while." jomo: "Thanks for bringing this whole thing to life. I met lots of nice people and learned a lot of things. Also thanks just for being a nice guy and hanging around on this and other servers back then™, you always had creative ideas to solve certain problems. Good luck with whatever you're spending your time with now 🎉"
@Minhplays has been promoted to MIT, wish him luck! @YummyRedstone is now a developer and will be bringing you the long awaited website features! @Stone_T_Forest is now trusted rank! We have acknowledged frequent crashes recently, we are currently trying to solve the issues, so far it seems to be a memory leak in Spigot but we're not sure. @HackerAttacker retired to join the USAF. @Futsy took Hacker's position as lead. @Logal rejoined the staff team and acquired mod. very high movement speed (high movement speed makes chunks load and unload rapidly, risking corruption and server lag). potion effects or enchantments above level 10 (X) or below level -10 (this includes kill potions). The spawn has (finally) been changed back from the Winter version. Thanks @Futsy! You may have noticed that the chat was a little messed up yesterday. To those of you who asked, we said we had updated Essentials, which had broken something and were working to fix things. Actually, it was a bit of fun, and probably our most elaborate joke ever. 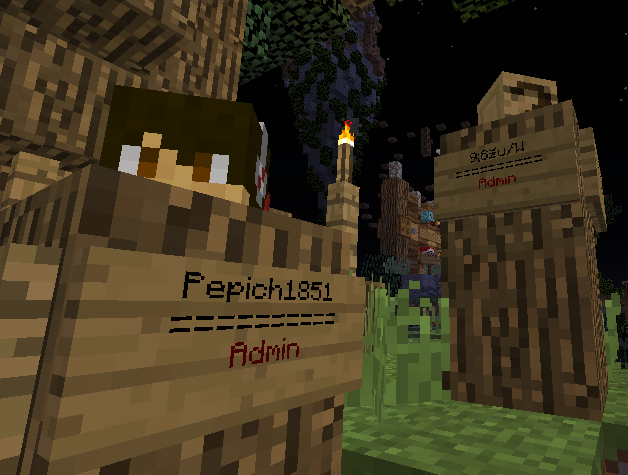 A huge thank you to @Pepich1851 for making the plugin, especially at such short notice! 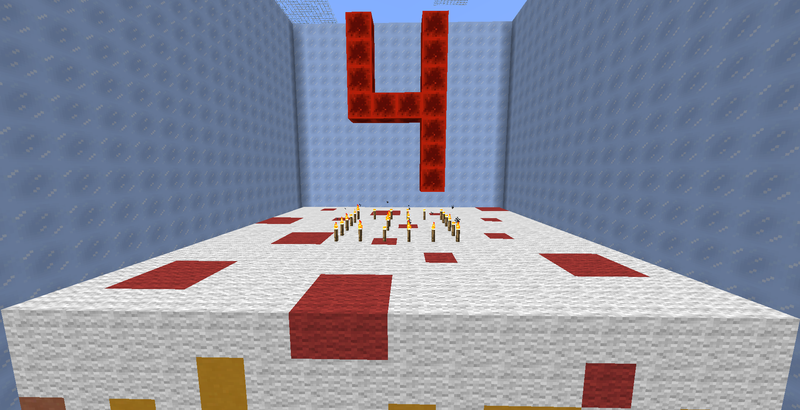 This month we updated to 1.11 and except for some hiccups, it was successful. Retired rank is now (temporarily) blue (#55f) on the forums. Note: Module is not 100% complete. To suggest challenges for now, go here. Clear will no longer clear the whole inventory but spare armor and offhand. Use eclear to get around the change. Chatgroups now announce people leaving/joining others. Chatgroups now has color support for everyone. Chatgroups no longer errors out when console is not in a group. Just a reminder, if you had a loginsecurity™ password on your account before Feb. 7 and have not registered it again, then do so as soon as possible. Everything wrong with 1.11 - IMPORTANT SECURITY INFORMATION! With the update to 1.11.2, we also remade the entirety of our plugins, including loginsecurity. Psrcek remade that module and apparently changed the data format or similar, leading to existing passwords to no longer be recognized. I hereby entirely delete the passwords database for loginsecurity. This means that if you had your account secured with a password, it is now no longer password secured. You will have to register with your password again. Also, there were issues involving migrating several different databases, leading to data loss in logblock, damnspam and webtoken now not being able to generate any new tokens. I apologize for the inconvenience and hope that I'll be able to fix the issues asap. If you want to register until webtoken is fixed, send me a dm with your email ingame /mail send pepich1851 your@mail.here and I'll manually generate your token. After a long process of development, 1.11.2 is FINALLY HERE! We reworked the plugins ENTIRELY and converted them all from Python to Java and implemented a HUGE permission overhaul. We updated plugins to become more accessible and user-friendly and have effectively boosted the user experience by 1000%. Many staff members worked VERY HARD to make the server compatible with 1.11.2, so please thank them for all of their hard work!!! With this update, the SV and TSV worlds will be reset, but DON'T WORRY! The old worlds will be available for download at [bleh]. Now you can enjoy updated terrain and structure generation, and ALL of the new survival-based changes and additions that have arised within the last few Minecraft updates. You will be able to get dragon heads and totems of undying, explore the new and expanded End, and have fun once again in our new and improved survival worlds! Also, Staff has decided to change the behavior of alternate accounts. An alt will have the same rank as a player's main, but will not be able to have plots of its own. This is to prevent players from being able to get more plots just by buying another Minecraft account. You can get more plots by asking staff - but only do this if your other plots are really really full. Everything from potion-tipped arrows and elytras to (Pyjama) llamas and Evokers will make your time on this server much more enjoyable. With observers and shulker boxes you can make new, updated, and better redstone builds! We hope to continue to help you have the best possible experience on Redstoner. -Chat alias now supports regex! -/cgt is automatically disabled when you leave a chatgroup! -Alias now works with chatgroups, adminchat, and PMs! -The shift bypass on damnspam has been fixed! -lagchunks is now entiry async! -Tab will fix itself when a player is promoted/demoted! -Mentios higher up on a player's list will be prioritized over lower ones! NumberOne will always be highlighted, NumberTwo will only be highlighted when NumberOne isn’t present. Also, that’s us. We’re number one. A quick note: blockplacemods, friends, imbusy, calc, serversigns, reports, and signalstrength have not been implemented into the update yet, but will be soon! Guys, I think something was a bit overlooked in this news post. @Pepich1851 worked tirelessly to get this update rolled out. He did 99% of the work completely on his own, taking his own free time to do so. This was no easy task, as all of our previous Python modules had to finish being converted to Java, as well as updated to work on 1.11. This update would have never came anywhere near as soon as it did were it not for Pepe, so I think we all need to give him a few words of thanks for his dedication to Redstoner and commitment to you guys. 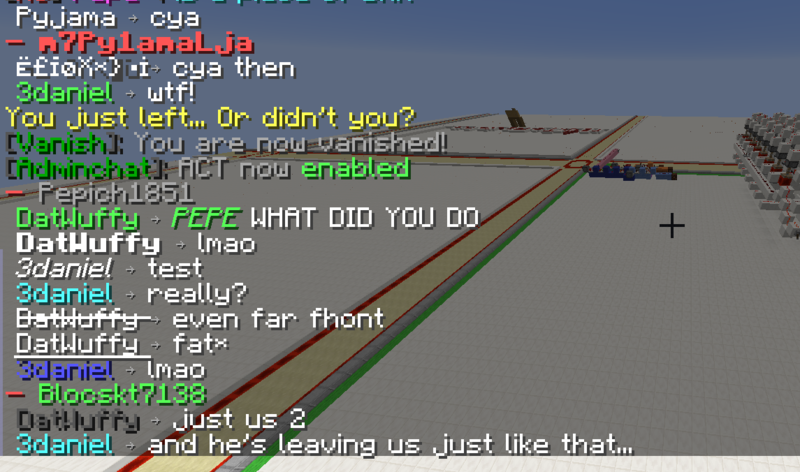 SmashDoesMC was promoted to MIT! Wish him luck on his path to full mod! Not that much happened this month on the server directly, but staff has been working hard on the 1.11 update. It should be rolling out in the next few days! From observers to elytras to countless other features, you'll be able to enjoy Redstoner to its fullest potential once again! As I promised, here's the list of everyone that got promoted to trusted in 2016! Our plans on updating to 1.11 kinda got crushed by the holidays, the maximum time we'll (try to) get it done in is 1 month, we have tons of things done, but a lot of them are untested. We're planning on switching to minecraft 1.11 on the first of January. Some of you may be sad because of that, but cheer up, the time of holidays is here!